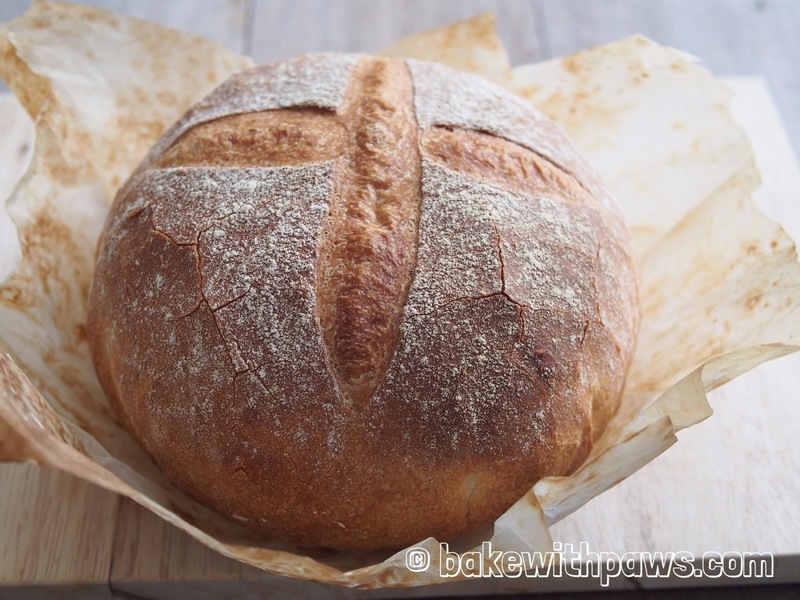 Simple soft and crusty bread recipe baked in a Dutch Oven. Inspired by techniques shared by Marilyn Chow from her Facebook on baking and How to Make Bread by Alex French Guy Cooking. However, I am using my Focaccia recipe instead. Add all ingredients (first add salt, flour, sugar, yeast, olive oil and lastly 250g water) into the bowl of stand mixer. Using the dough hook on a stand mixer, knead until the dough comes together and achieve window pane stage (when stretch the dough you should be able to see thin membrane). It takes around 10 to 15 minutes. If the dough is too dry, add 1 tablespoon of water at a time. Some bread flour absorbs more water. Let the dough complete the first round of proofing in the same bowl, about 60 minutes until double in size in a warm and dark place. The best place is in an off oven. Transfer the dough to a floured table top and fold few times to centre and turn upside down. 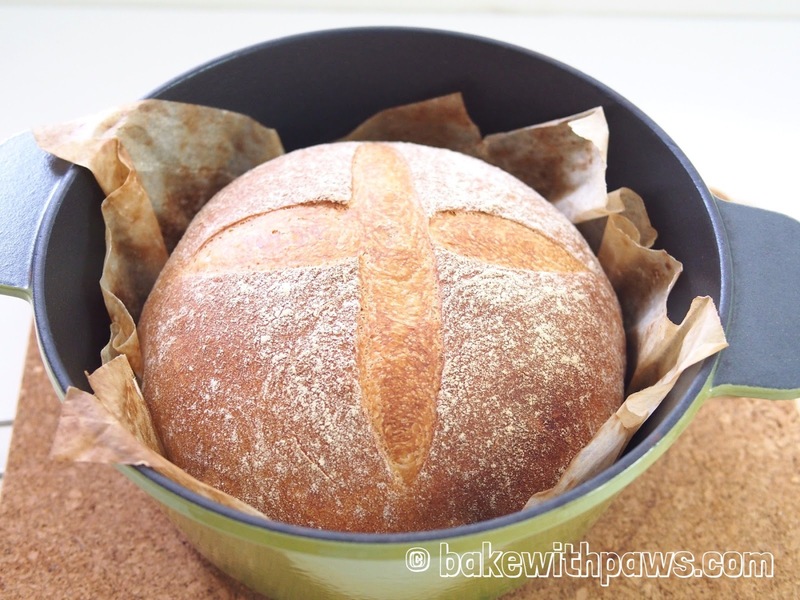 Shape into a ball and transfer the dough into a big bowl with parchment paper. Let the dough rise for second proofing about 45 to 60 minutes or until double in size. 30 minutes before baking, pre-heat the Dutch Oven with lid on at maximum temperature, 250C. 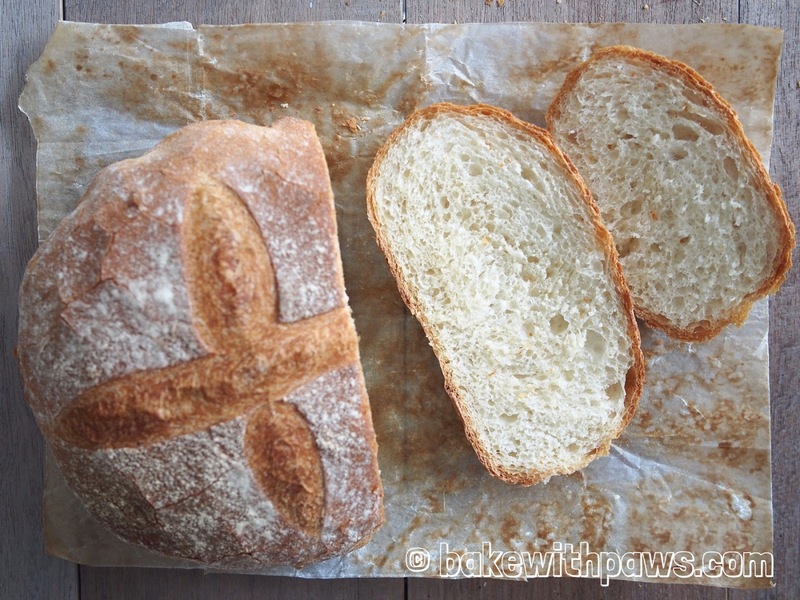 Sprinkle the dough with some flour, then slash the dough with razor blade at your desired pattern. Transfer the Dutch oven from oven and open the lid carefully. Gently drop the dough with parchment paper into the Dutch oven. Close the lid and return back to oven. Bake for 30 minutes at 230C. After 30 minutes, remove the lid and bake for another 10 to 15 minutes until the desired colour. Let it cool in cooling rack. 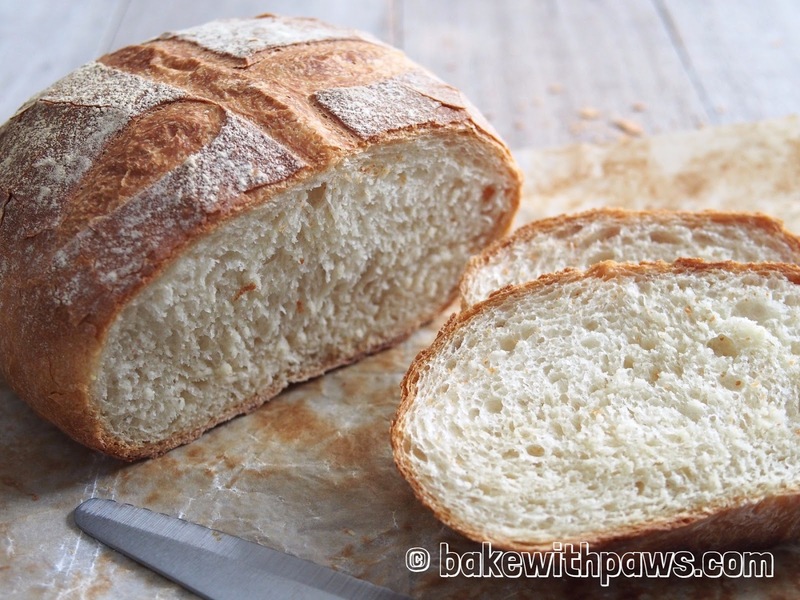 Bread crust stays crispy while the bread still warm. However, it turns soft once it cools down. To get back the crispy crust, just put the bread in a hot oven for 10 to 15 minutes to reheat or toast it.